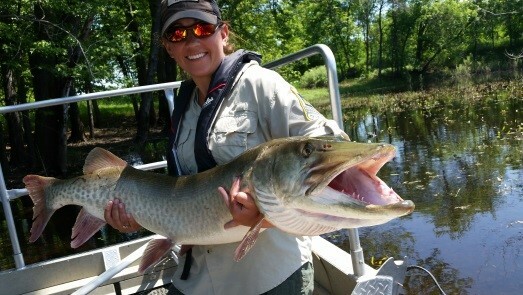 Aitkin Area Fisheries Specialist Alisha Hallam with a trophy muskellunge sampled while electro-fishing on the Mississippi River in Aitkin County. Anglers who fish in the Aitkin County area benefit from the management, habitat and oversight work of the Minnesota Department of Natural Resources' Aitkin area fisheries staff. Area Fisheries Supervisor Rick Bruesewitz and a staff of three full-time employees manage more than 150 lakes, many of them popular fishing destinations such as Big Sandy, Farm Island, Cedar and Minnewawa, along with 110 miles of the Mississippi River and hundreds of miles of other warm water rivers and streams. 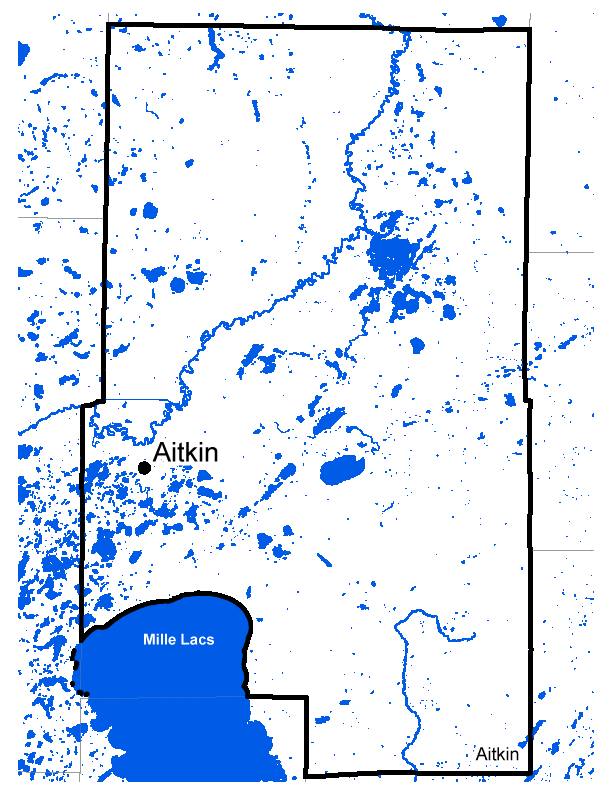 Developing or updating fisheries lake management plans as current information from the area survey and assessment program becomes available; these include stocking and regulation needs. Stocking walleye, muskellunge, or stream trout into more than 30 area lakes, the Mississippi River, and one trout stream. Harvesting up to 13,000 pounds of northern pike and up to 7,000 pounds of yellow perch adults per year for statewide stocking requirements. Developing, implementing and evaluating special regulations to improve or sustain quality fisheries. Coordinating aquatic education activities for adults and youth in the area to foster greater awareness of aquatic habitats, teach proper boat and water safety, and develop angling skills; this includes the Aitkin County Rivers and Lakes Fair. Coordinating with lake associations and local government on watershed management, soil and water conservation and planning, environmental review, and fish management.